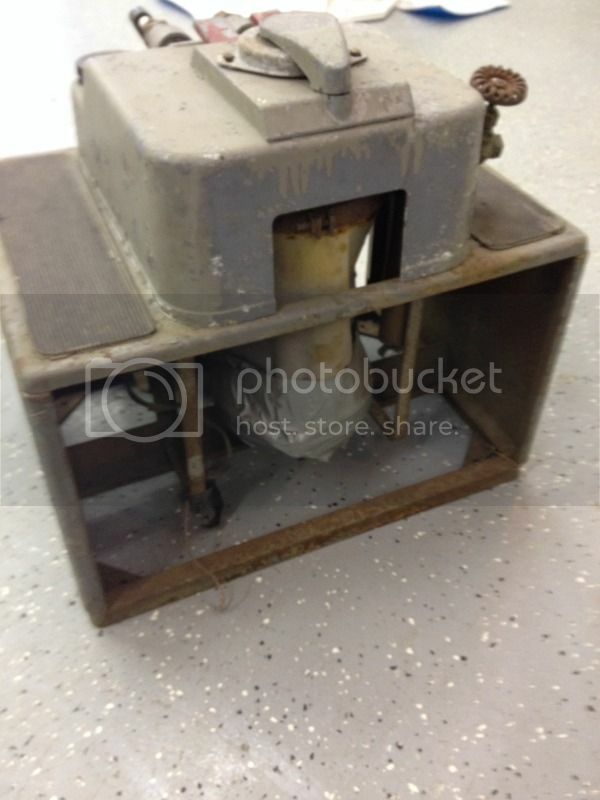 Here is a nice display piece, 50's ? 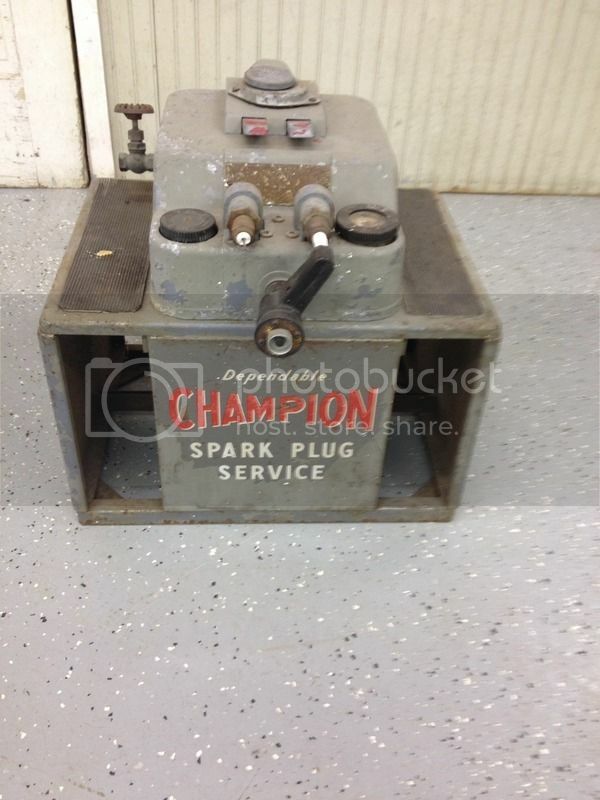 Vintage champion spark plug cleaner. 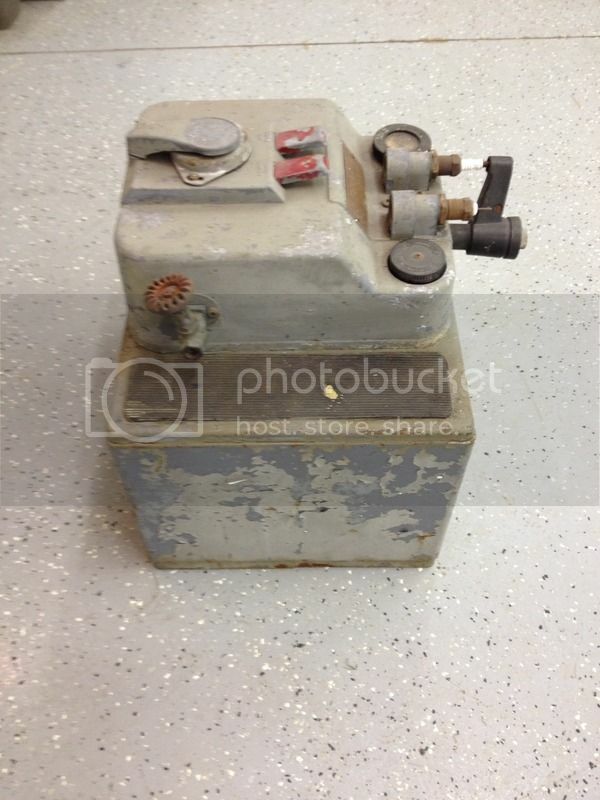 $125.00 I have had it as a display in my shop but have never tried it for use. The fabric sand bag is duct taped. Great patina. Free delivery to Columbus Gas (Thursday evening) if paid in advance. Or pick up in Northwest Ohio. Last edited by JEFFSAUTOMOBILIA; Sun Jun 07 2015 06:26 PM.